Should I Upgrade My GNS530W for a GTN750? I do not work for Garmin nor do I get any special deals from Garmin. I am just another aviation customer like you who wants to have the latest and most user-friendly avionics in my aircraft. I purchased a 1981 Baron 58P about three years ago, and it was on the cover of the February 2012 ABS Magazine. 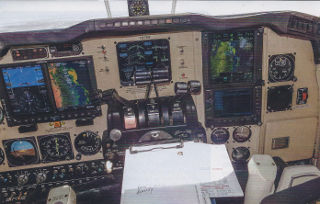 I have taken great pleasure in upgrading this fine aircraft to the latest and greatest avionics available.